A true digital citizen understands how to ethically use the works of others to build his or her own creative products—music, art, video, stories, presentations--and share them with the world. Just as you’d want others to respect your originality, others expect the same of you when it comes to reusing and remixing their intellectual property. As you create and publish media yourself, please be conscious of how you use the work of others. Here are some guidelines, categories, and tools to consider that will help you as you create, contribute to, and enrich our shared culture! Please also see Silvia Rosenthal Tolisano's Copyright Flowchart for guidance. 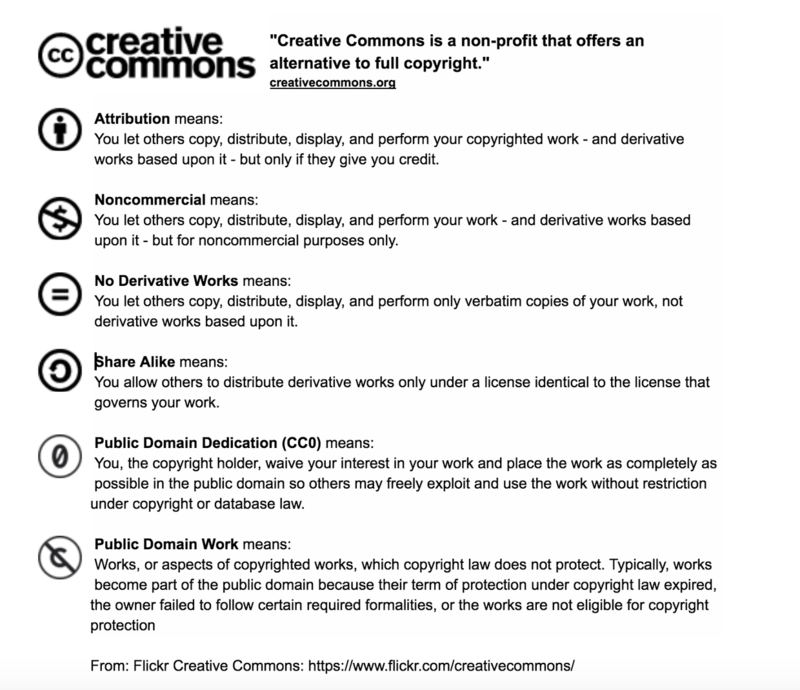 Note: We'll spend a lot of time talking about Creative Commons because it is a critical tool (and concept) for digital age creation and sharing. 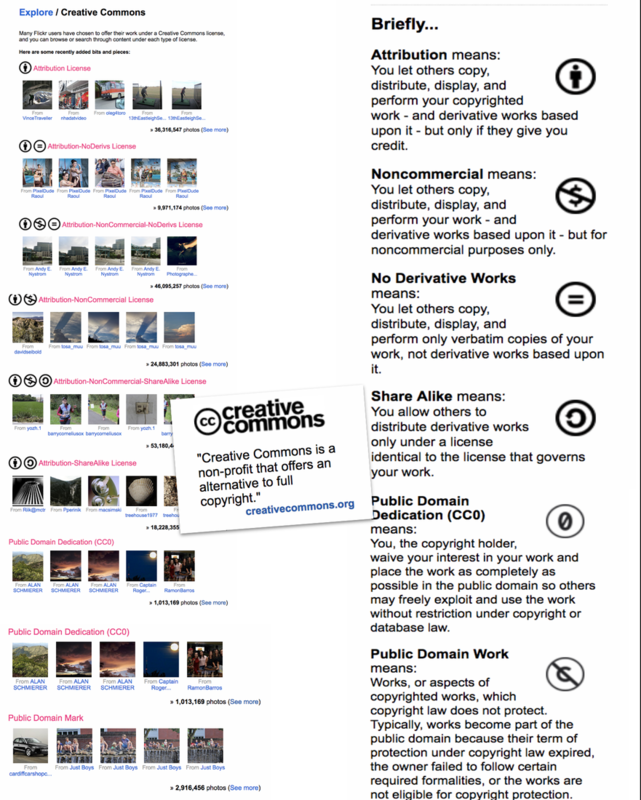 As digital content creators you might just want to celebrate the Creative Commons (cc) movement and consider using cc licensing for your own work. 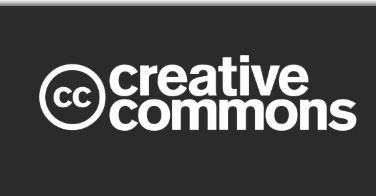 The Creative Commons respects intellectual property while it recognizes the new, more open cultural landscape, and makes it easier for us to legally and ethically share and build on each others' work. When a work is created, it is automatically protected by Copyright. Creative Commons licenses allow content creators to maintain copyright over their work, but to modify the traditional all rights reserved (or big C) to a variety of more liberal, copyleft or some rights reserved (or little cc) options. So, the creator lets the community know whether and/or how he or she wants a work reused and remixed. Remember: "You can use CC-licensed materials as long as you follow the license conditions. 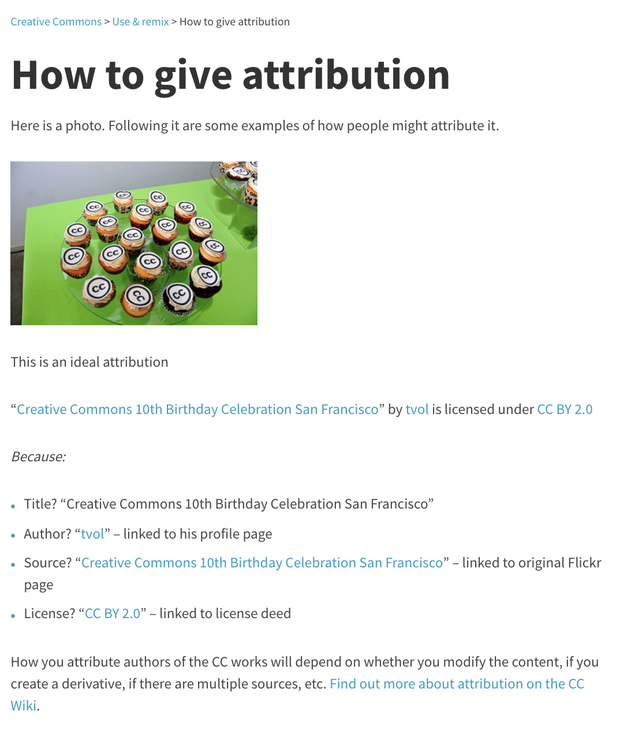 One condition of all CC licenses is attribution." 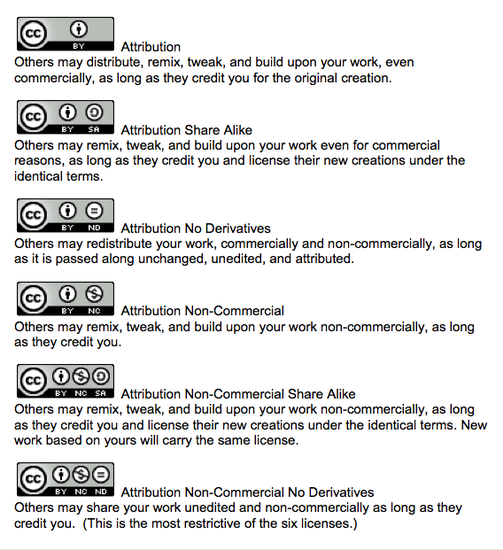 So, what do all those Creative Commons License icons mean? Because the CC licenses let you know explicitly how creators wish their work to be shared, no permission is necessary to reuse. However, attribution or credit is required by most CC licenses. You need to understand the license options and the easily recognizable icons of the particular Creative Commons license attached to an image, song, or video. CC-licensed content isn’t always free for all uses. For instance, you wouldn’t wanted to add a drum track to song, re-color an image, or remix a video with a No Derivative Works license. 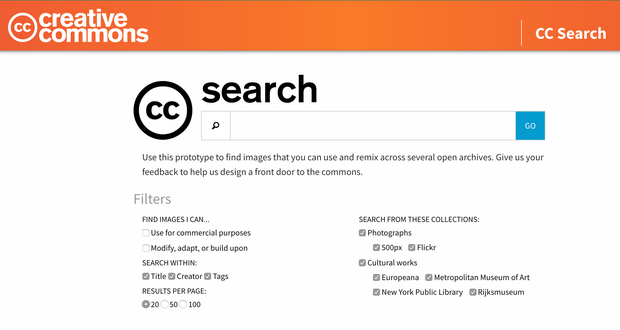 Creative Commons Search: Two Options! 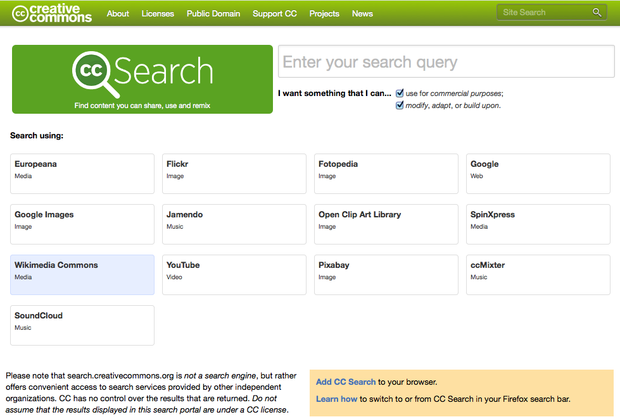 Creative Commons itself offers two search pages, as well as the opportunity to add CC Search to your browser. 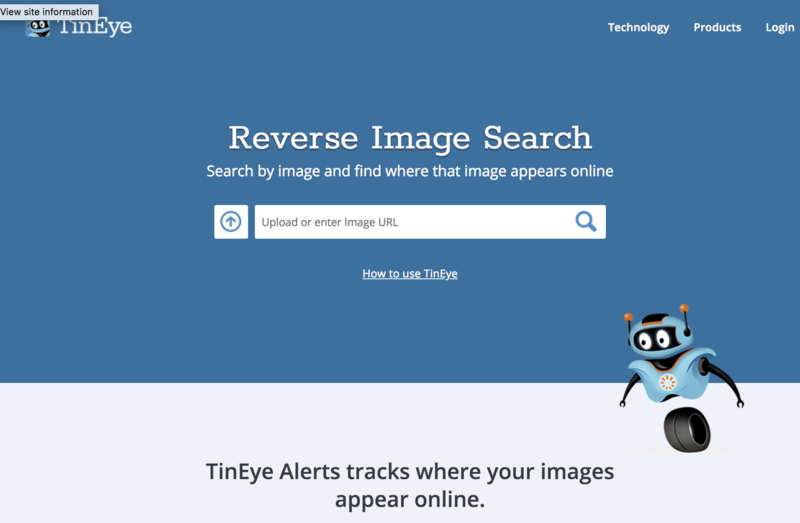 Some of your favorite search tools also offer filters for finding CC images. "Our Public Domain Mark enables works that are no longer restricted by copyright to be marked as such in a standard and simple way, making them easily discoverable and available to others. Many cultural heritage institutions including museums, libraries and other curators are knowledgeable about the copyright status of paintings, books and manuscripts, photographs and other works in their collections, many of which are old and no longer under copyright. The Public Domain Mark operates as a tag or a label, allowing institutions like those as well as others with such knowledge to communicate that a work is no longer restricted by copyright and can be freely used by others. The mark can also be an important source of information, allowing others to verify a work’s copyright status and learn more about the work. The Public Domain Mark is recommended for works that are free of known copyright around the world. These will typically be very old works. It is not recommended for use with works that are in the public domain in some jurisdictions if they also known to be restricted by copyright in others." Public domain materials include government content never covered by copyright and material for which copyright has expired. You may use these materials without asking permission, with attribution. Unfortunately, public domain content is not always labeled clearly as such. Nevertheless, government portals, like the Library of Congress and the National Archives and Records Administration, NASA, and the various US Military and agency sites offer large archives of public domain content. This Public Domain Sherpa tool helps calculate whether US copyright applies. The video below explains PD from a global perspective. 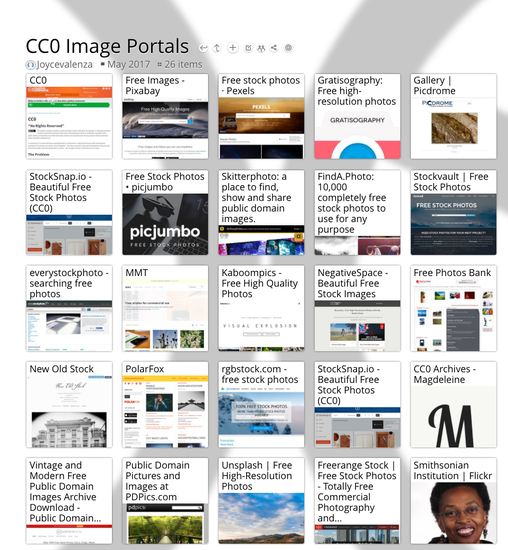 Creative Commons licenses are for you too! Creative Commons is not just for adults or professionals. Young artists and producers have every right to make decisions and share information about how they would like or not like their own work to be shared, reused, remixed or left alone. Copyright is automatically assumed, but you have every right to attach an additional cc license to anything you create. 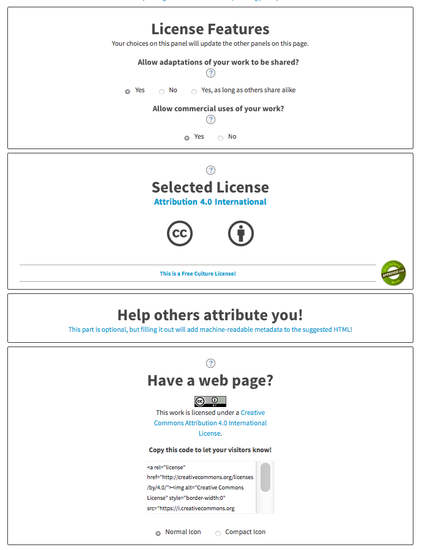 For help in deciding what type of license to attach to your own work, the Creative Commons’ license chooser, will generate a customized image and embed code. 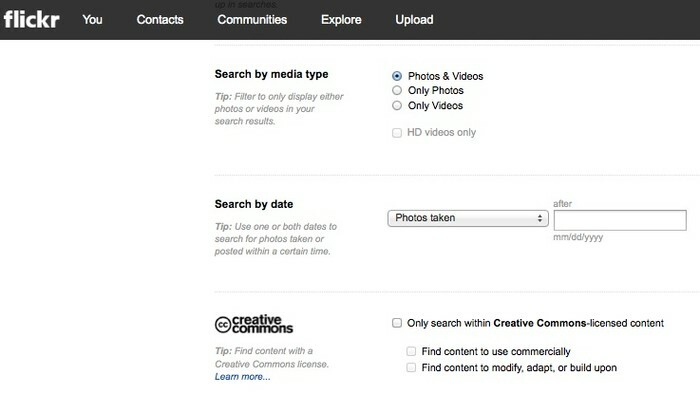 Even if you don’t go to the trouble of visiting Creative Commons to get a logo or code, many media portals—YouTube, Vimeo, Flickr, for instance--will allow you to attach licensing as you upload your original work. You can also incorporate the millions of Creative Commons-licensed videos on YouTube when creating your own videos using the YouTube Video Editor. For more information about Creative Commons, visit creativecommons.org/about. You can download Creative Commons logos for print publications. However fabulous Creative Commons and Public Domain content may be, sometimes you really need to use copyrighted material. Say you plan to comment on popular media or current events. For instance, you may be planning to critique the portrayal of Native Americans in commercial films. You are going to want to “quote” some commercial films like Pocahontas, Lone Ranger, and Dances with Wolves. If you are reviewing a book, you may want to share its cover art. You may use copyrighted content without asking permission if you believe that your use falls under the doctrine known as Fair Use. Fair Use is a little complicated. In general, when you transform original content, repurpose it, and add value to it in your own remix, you may be able to claim the use fair. Examples of transformative use include: satire and parody, negative or critical commentary, positive commentary, quoting to start a discussion, illustration or example, and incidental use. CMSI's Recut, Reframe Recycle offers specific examples of transformative use in video production. A variety of “Codes of Best Practices in Fair Use” represent agreed upon norms and boundaries that help clarify what fair use looks like in education, libraries, documentary film-making, poetry, media studies, and more. The video below explains why the Code for Fair Use in Online Video was created. American University. Center for Social Media. Remix Culture: Fair Use is Your Friend. It’s pretty obvious, but you can remix your own original work in your new creative projects. Use your old stuff or create and use your own new original art, music, and photography, freely--no attribution necessary. Draw and paint on your tablets or scan your paper work to make it digital Compose or produce using tools like GarageBand, iMovie, MovieMaker, WeVideo, Soundation, or JamStudio, or UJam. Not all clip art is the same. You may use clipart without permission only if the specific licensing attached to the individual work allows that use. Images at some clipart sites are fine for school assignments and personal and noncommercial use without citation. Some clipart requires citation; some does not. Please read licensing notes on the clipart sites you visit and any specific notices relating to an individual image. Be careful when you search! Media are sometimes "orphaned"
Sometimes it is hard to determine who created a particular song, image, or video. Other people may upload images that do not belong to them and misrepresent their licensing and ownership. When in doubt about using media, try to identify ownership and you may have to try to contact the creator. 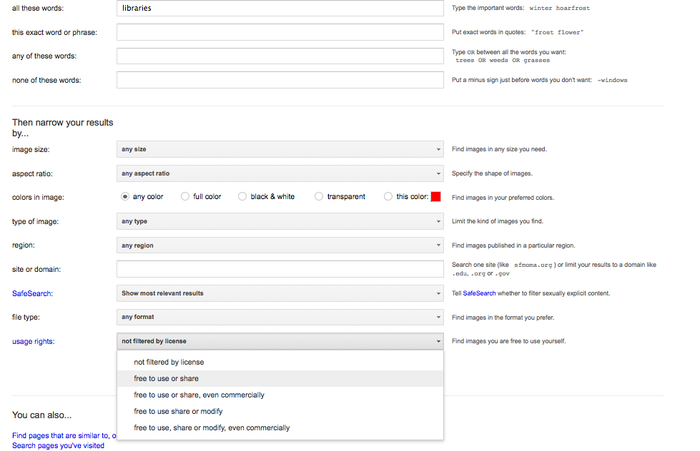 If you’ve found an image you are interested in using, but cannot find any information about its origins, you can drag it into the search bar of Google’s Search by Image. The results are likely to give you clues about the background of the image and where it might live on the web. If you have any doubts about whether your use of copyrighted media is fair, it is best to ask permission before you reuse or remix it. Some sites offer pages with information about licensing or asking permission, or perhaps, email or phone contact information. You may also have some success identifying the Twitter handle of the content creator and opening the permission conversation on Twitter. 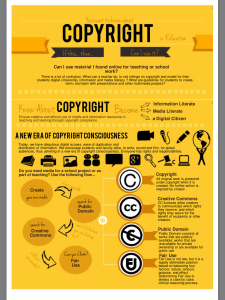 Checkout Silvia Rosenthal Tolisano's Copyright Flowchart!